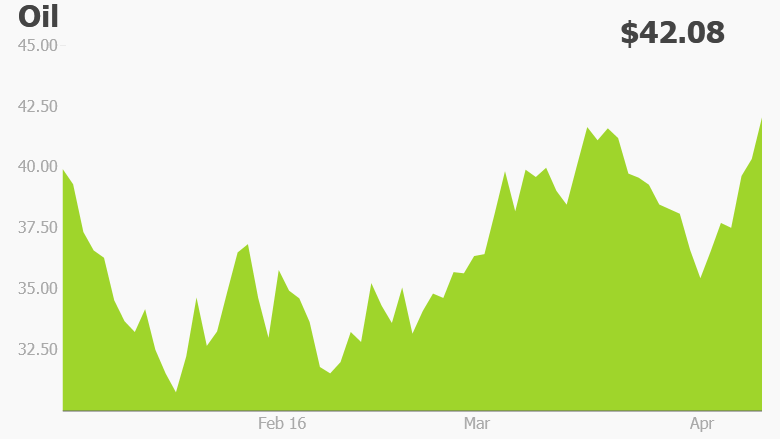 Oil touched a new 2016 high after rumors that Saudi Arabia and Russia have reached a deal to freeze oil output. U.S. crude oil prices jumped 4.5% to $42.17 a barrel, after Russian news agency Interfax reported the deal. Russian officials declined to comment on the news as did Qatar, which holds the rotating presidency of OPEC, the oil cartel. The report came ahead of a crucial meeting between OPEC and non-OPEC countries in Doha on Sunday. Investors are hoping the world's top oil producers will reach a broader deal to control the global oil supply. Prices have tumbled over the last two years because of a major oil glut, where the world has way more oil than it can consume. That's because OPEC countries led by Saudi Arabia have been pumping relentlessly, determined to squeeze out higher-cost producers like the U.S. and defend their market share. But even OPEC producers are now struggling to cope with prices this low. Oil prices collapsed to the lowest levels since 2003 earlier this year. 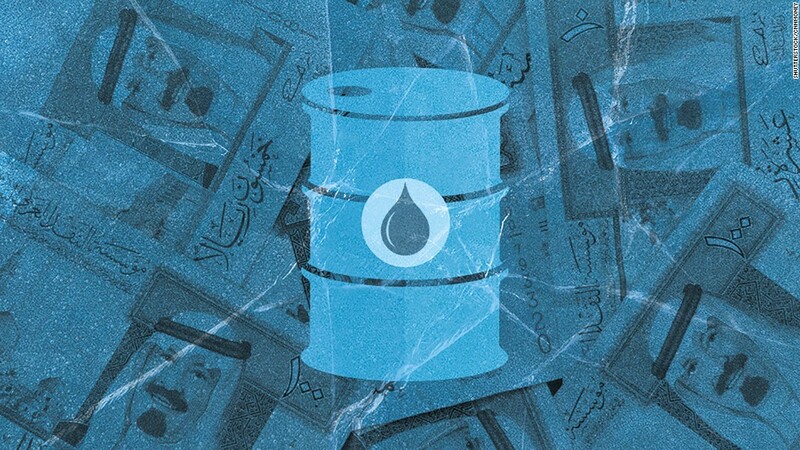 Saudi Arabia has cut government spending in the light of declining oil revenues. Other Gulf countries, including Kuwait, the United Arab Emirates and Qatar have also hiked taxes and slashed their budgets. It's worse at other oil producing nations. Angola, Africa's third largest economy has turned to the IMF for a bailout. It is Africa's second largest oil producer. Oil accounts for about 75% of government income and 95% of export revenues. The economies of Venezuela and Russia too have slid into recession and Nigeria's growth forecast has been cut by the IMF. Even if this agreement goes through, many experts have already expressed doubts over whether a freeze in production at these high levels will do enough to reduce the oil glut. Russia and Saudi Arabia had agreed in February to hold output at January levels. But the deal had many conditions and didn't work out. Iran called the agreement "a joke," and pledged to boost its own production.